Gearing Up for National Fire Prevention Week - “Every Second Counts: Plan Two Ways Out!” - New Empire Group, Ltd.
Fire Prevention Week is October 8th through October 14th! This year’s theme is “Every Second Counts: Plan Two Ways Out!” Every second does count when it comes to fire safety. As with any emergency, it is always good to have an emergency plan in place to help guide you and your loved ones to safety without hesitation and with minimal panic. Drawing a map to plan out your escape route is a very important part in your emergency preparedness plan. Be sure to mark at least two exits from each room and a path outside from each exit. Schedule home drills at least twice a year. One at night as well as one during the day. Try to remember to close doors behind you as you leave each room – this may help slow down the spread of smoke, heat and fire. Last, but certainly not least, once you’ve made it safely outside, STAY OUTSIDE. 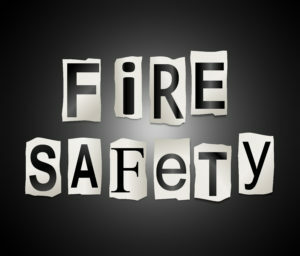 Click on this link to download the NFPA’s sample fire escape plan. Source: Reproduced from NFPA’s Fire Prevention Week website, www.firepreventionweek.org. ©2017 NFPA.